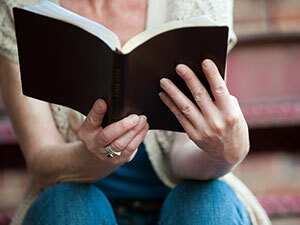 KYB is a great Bible study for ladies of any age: From young mums to grandmas. We begin the morning with a short introduction to the study, sing a song, pray and then divide into groups of about eight. We discuss the study which we completed in the time running up to the meeting and everyone gets the opportunity to give her answer. We learn a great deal from each other and discuss how we can apply what we’ve studied from God’s word, to our daily lives. The the whole group meets together again when the leader sums up the morning’s discussion. Afterwards we enjoy a lovely morning tea. KYB is a morning of fellowship between a group of ladies from diverse backgrounds, exploring God’s word together. For more information you can click into the CWCI web site: www.cwciaus.org.au then click on KYB.